In the house of 11622 Paramount Way. Maybe even the whole neighborhood. Shadows of children playing ball were cast across the wall. Anna Lith, child of age 8 went missing the night of May 3,1908 playing outside with her younger sister when her sister started acting funny. Angel, Lith's younger sister came in the house late at night holding the ball they had gone to play with. With a twist, the ball was covered in blood. And Joseph, age 23 ( young father ) also went missing. The mother Sarah, was paralyzed for 2 years! When finally being asked what happened she reported that her daughter Angel was indeed no angel because she showed demonly signs and slaughtered Joseph. 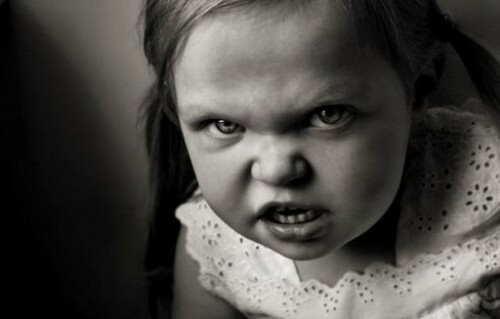 Angel had always been a very angry child, feared and hated the world. She hated everyone and threatened everyone, she cut people for the fun of it and was kicked out of public school. Then she was tutored, she murdered two of her tutors and was then put into homeschool for very minimum minutes a day the rest of the time she spent in her room locked up with all the bolts and locks imaginable. Gullible Anna always let her sister out to secretly for some company not knowing one day she would kill her. Everyone's afraid of clowns that's why the Arsher family moved out of their home right away when finding out that a clown lived there with them. The clown was found in the closet by young Lilith at age 4. A blood high shriek was heard in her room and there on the floor was blood, their daughter's head, and a clown wig. Lilith's diary was found saying every night she wished she would be killed because she hated her life and was too afraid to kill herself. The house was having a hard time selling after that so the Bank kept what happened covered and the Bane family moved in. Two identical twin boys who were very much emo where killed soon after. The clown killed people on and on who ever hated their life the least bit. Over the past 10 years this is all the information this site has found. Check out more sites for more info.